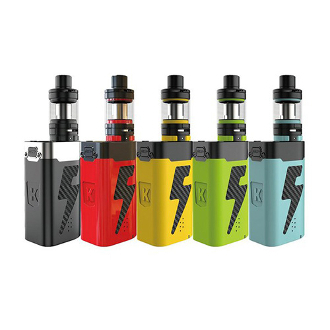 The Kanger Five6 is a kit consistent of a five battery power house of a mod and tank that has a 3 coil build. It has a huge liquid reservoir of 8mls and utilizes stainless steel tiger coils. At the bottom of the tank is an adjustable resistance control ring. This ring allows you to change the amount of coils being used and therefore the entirety of the resistance being read by the mod. Kanger also has their customary top fill design with a swivel locking mechanism for easy and safe refills. The mod itself takes five 18650 Batteries and can be used as a power bank with the usb charger located on its side.